Bob Moyer has kindly sent me an early Christmas present: a new review for Briar Patch Books. I’m most grateful, as always. THE AFFAIR. By Lee Child. Delacorte Press. 405 pages. $28. REACHER: THE PREQUEL. How about REACHER BEFORE HE WAS REACHER? Whatever you call it, this adventure is proto-Reacher. Lee Child takes us right up to the first time Reacher sticks out his thumb to hitch a ride as a civilian. Along the way, the author fills in some facts about Jack’s lovable habits and past history that fans will enjoy. The biggest discovery, however, is the case that chased him out of the Army. It’s 1997, and Reacher has about reached the end of his career rope. He has reason to suspect some of his superiors would like to be rid of him; when he receives his next assignment deep in the bowels of the Pentagon, he’s almost positive. A young woman has been murdered in a small Mississippi town near a clandestine Army base. Everything points to someone on the base — a particular someone, a captain who is the son of an influential politician. Reacher is sent undercover into the community, while a younger version of him handles the investigation on the base itself. When he arrives in this less-than-advantageous situation, he comes across his first surprise — a beautiful sheriff, an ex-Marine who blows his cover immediately. She also blows his mind. Like the train that comes through town each day at midnight, you can feel their connection coming down the track, hear the rumbling in Reacher’s loins. Their affair is a train wreck looking for a hotel room in which to happen. They establish a prickly relationship, her protecting the town, him the Army — until he discovers two other young women have also been murdered in the same manner. Two people soon turn up dead near the camp perimeter. Although the Pentagon insists no action has been authorized, Jack knows this is a military operation. Someone has pulled some strings to keep the Army clean, but Reacher smells some dirty laundry. He gets busy pulling the clothes off the sheriff, but he decides not to pull the cover off the cover-up. For the first time (but not the last) Reacher takes justice into his own hands. The action builds more slowly here than the slam-bang beginnings of recent books, but when Child hits his stride it comes fast and heavy. Jack takes on redneck thugs in the small town, and a superior in a small office. He commits career suicide when he digs up everything everyone else has tried to bury, but he’s a free man. At the end of the book, he heads thumb out into a 15-novel trip through the American countryside, which he has never really seen; he’s been too busy protecting it. 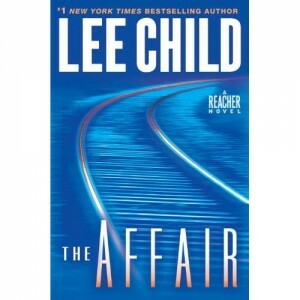 This entry was posted in Mysteries and tagged Lee Child, Mystery, Reacher. Bookmark the permalink.